Tribute to Alfonsina Strada at Milano Bike City. Exhibition open from 15-21 september in La stecca 3.0 I’m still impressed by the special opening of the exhibition, with a passionate storytelling by Federica Molteni. 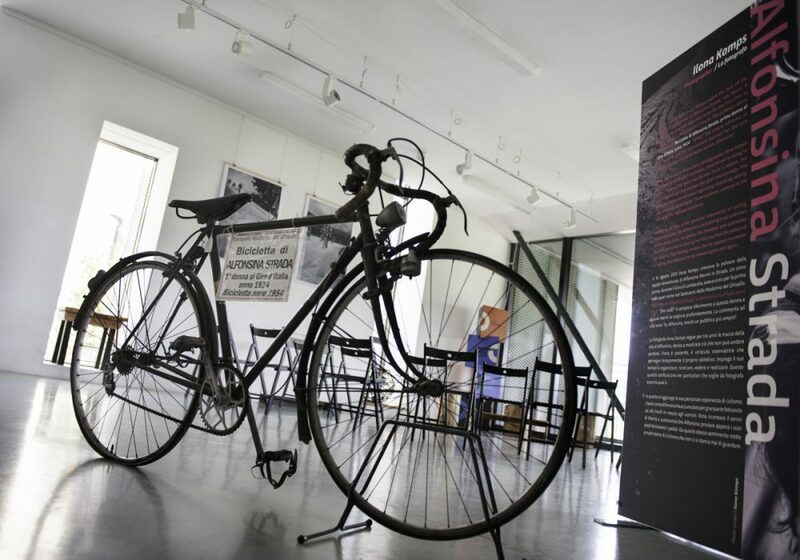 And the surprise: the bike of Alfonsina Santuario della Madonna del Ghisallo came to Milano. Grazie mile to all who made this evening to a beautiful tribute.